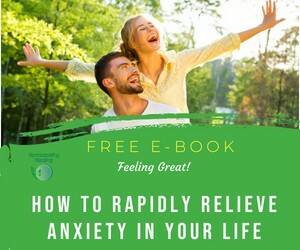 Anxiety, Panic Attacks and Fears – Learn How You Can Conquer Them Naturally. If you prefer to read the video transcript you can do so below. So I’d like to kick off today with A – A for Anxiety. So most people will experience anxiety at some stage in their life and for many it’s mild and manageable while for others it can be really quite chronic and debilitating with full-blown panic attacks. There’s all sorts of anxiety, for example children who suffer from separation anxiety when they’re taken to crèche or school. There’s anticipatory anxiety where people might be afraid of some upcoming event, whether it’s a visit to the doctor, the dentist or doing an exam. Then there’s anxiety where people can link it to something specific, such as fear of flying, fear of the dark, fear of closed spaces. We’ve got people who say they have a really bad feeling that something bad is going to happen and they walk around with an anxiety in their stomach. 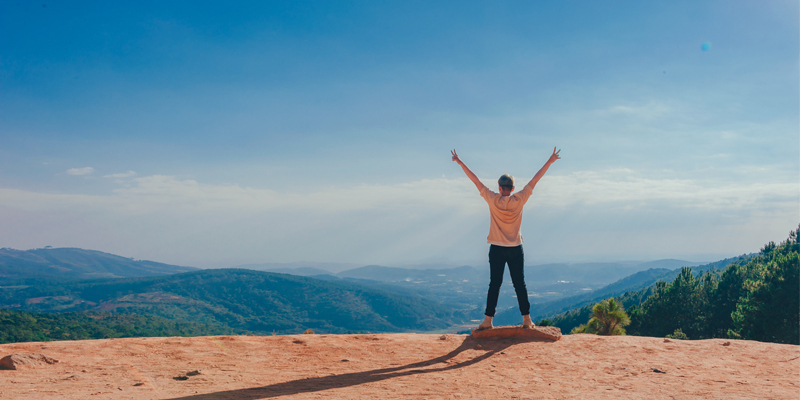 In Homeopathy we believe your emotional health is just as important as your physical health and you can often see that what’s happening in your emotional health does manifest onto your physical body. So if you look at anxiety – look at what happens. People will talk about their stomach churning, that they feel sick to their stomach, that they’re paralyzed with fear. People may experience a lot of diarrhoea, running to the toilet, trembling, palpitations, sweating and restlessness. These are all just physical signs from our body that something actually is not okay. So the problems can extend way past the physical manifestations of what you experience when you’re anxious. So let’s look at people with panic attacks. Their life become so restrictive, there’s so many things that they can’t do because they’re afraid of actually having a panic attack and not knowing how to control it. People with anxiety then maybe suffer a lot from lack of sleep because they’re worrying. There are concentration difficulties, social skills then start to get affected and they start to withdraw more into themselves. People’s appetite can get affected. They start eating more or they actually find they can’t face food. 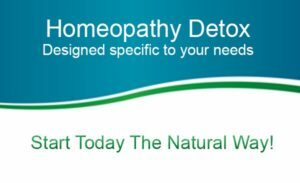 So there is so much we can do in Homeopathy to help people with anxiety. We can use acute remedies to help people out of that immediate state of fear and anxiety, and constitutionally we work at a deeper level in trying to reduce the overall anxiety, build confidence and help get rid of fears long term. This is all included as part of my Stress and Anxiety Relief Programme and you can find out more here. So just to give you an example of some of the remedies that we can use in Homeopathy to help with anxiety. It’s a remedy where there’s a lot of fear, a lot of distress and shock. The person is beside themselves. They may be trembling, the fear is sudden, it’s acute, it’s dramatic. It’s very hard to try and reach somebody when they’re in that state. I often liken it to a car accident where somebody steps out of the car, they just can’t comprehend what’s happened. They’re really, really distressed. Then we have another remedy called Gelsenium which is…. the best way probably to describe it is someone who says it feels like they’re paralyzed with fear. It’s like the deer in the headlights. They’re faced with their anxiety and they say they just feel rooted to the spot, they can’t move, their legs feel like jelly. They can feel heavy both physically and emotionally. We’ve got Arg-n which is a great remedy for anticipation – somebody who’s about to head into exams or are about to take a driving test and they’re very restless, fidgety and impulsive. Where Arg – N is actively fearful, a person needing Gelsenium will cease up both mentally and physically and the mind may well go blank. So that’s a little snapshot on anxiety and some of the ways Homeopathy can help. If you’re struggling with anxiety or perhaps your child is, please feel free to get in touch and I’d be delighted to try and help. So thanks very much for listening and see you again soon. Tel: 086 089 1037 (+353 86 0891037) send me an email or book a free 15 minute consultation today. You can also view more details about the Stress and Anxiety Relief Programme here.